Jenni JWoww Farley is know for her days on the hit show "Jersey Shore" and its most resent reboot "Jersey Shore Family Vacation." What most people don’t know about Farley is her passion for safe and natural products for both herself and her family. After doing research and finding so many harmful facts about what she has been putting on herself and her family she became a Mom on a mission and just like that Naturally Woww was born. Most recently Naturally Woww launched its first product Bio Protect Moisturizer. 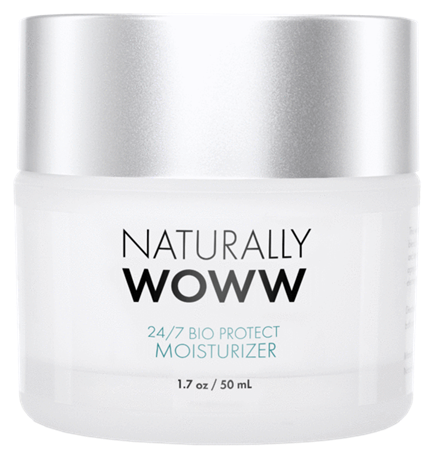 This whipped, multi-action moisturizing cream combines a unique blend of plankton and natural oils to address uneven skin tone and texture. Natural marine extracts help battle future signs of aging caused by blue light emitted from cell phones and electronics. Due to this quality of the product, the proven results of the product, and of course Jenni JWoww Farley, the product sold out in just 2 days.